I absolutely love green smoothies. After learning about the importance of magnesium and discovering what raw, whole foods are a great source of this incredibly important nutrient, I’ve put together this simple green smoothie recipe that is not only delicious but offers your body a healthy dose of magnesium to keep you feeling healthy, energetic yet relaxed, well rested and happy. For this easy-to-make raw food green smoothie recipe, all you’ll need is a high-powered blender. I personally use and recommend the Vitamix Blender. 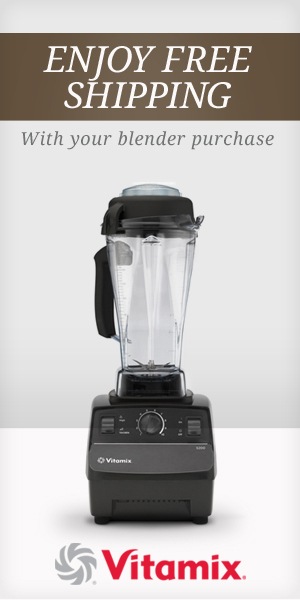 I wrote a comparison review, comparing the Vitamix with the Blendtec that you can read here. A high-powered blender is one of the top 4 raw food kitchen tools I recommend stocking your kitchen with. For this super magnesium rich smoothie, blend the following ingredients in a high-powered blender. This magnesium-rich smoothie provides you with about 240 milligrams of magnesium and serves 1-2 people. The health benefits of this green magnesium rich smoothie are many. Check out my recent article on 8 Ways Topping up Your Magnesium Levels can Literally Change Your Life.